I’ve been making an effort to read more lately and not just audiobooks, which has become my somewhat lazy routine. And in the past two days I’ve read two books. Yes, they’re short books, but still, two entire books! First I read Sarah Lazarovic’s A Bunch of Pretty Things I Did Not Buy, which is lovely little book filled with hand lettered words and beautiful small paintings. About stuff she didn’t buy. But also about the stupid stuff she did buy, especially through her awkward teenage years. It’s a little gem of perfection and I order all of you to read it straightaway. Click HERE to look at Lazarovic’s website. 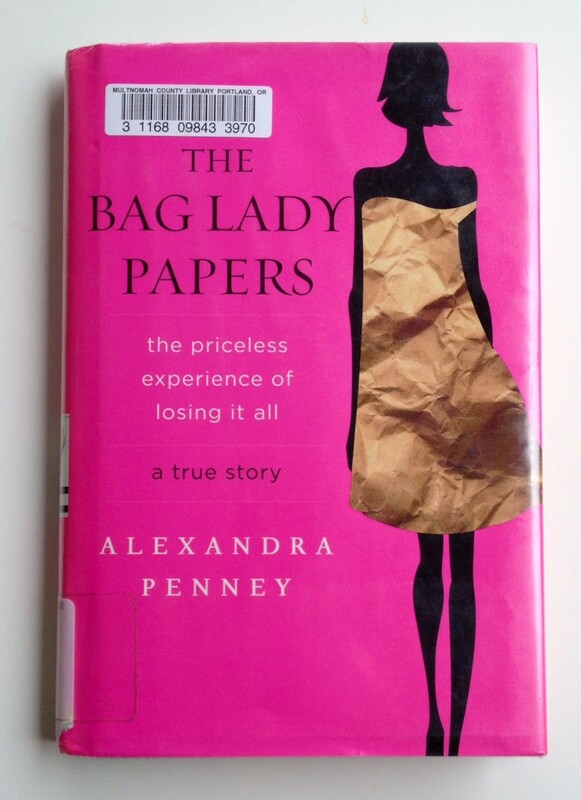 Then I read Alexandra Penney’s The Bag Lady Papers: The Priceless Experience of Losing it All, a memoir from someone who invested her life savings with the pyramid-scheming Bernie Madoff. Penney is no socialite with a passively inherited income, instead she worked hard as a writer, editor and artist to earn her money, only to see it all disappear in the blink of an eye in 2008. She immediately started blogging for The Daily Beast. Apparently there was an enormous backlash against her poor-little-rich-girl story at the time, as her experience of having to downgrade from taxis to public transportation hit a nerve with many who saw her story as elitist. It’s a compelling read, and brings up a lot of thought provoking issues about what money is, and what it means to have or not have it. Good stuff. Worth your time. Have you been reading any books that earn a recommendation? Please share in the comments section below. I listened to the Alexandra Penney on CD a few years ago and enjoyed it. 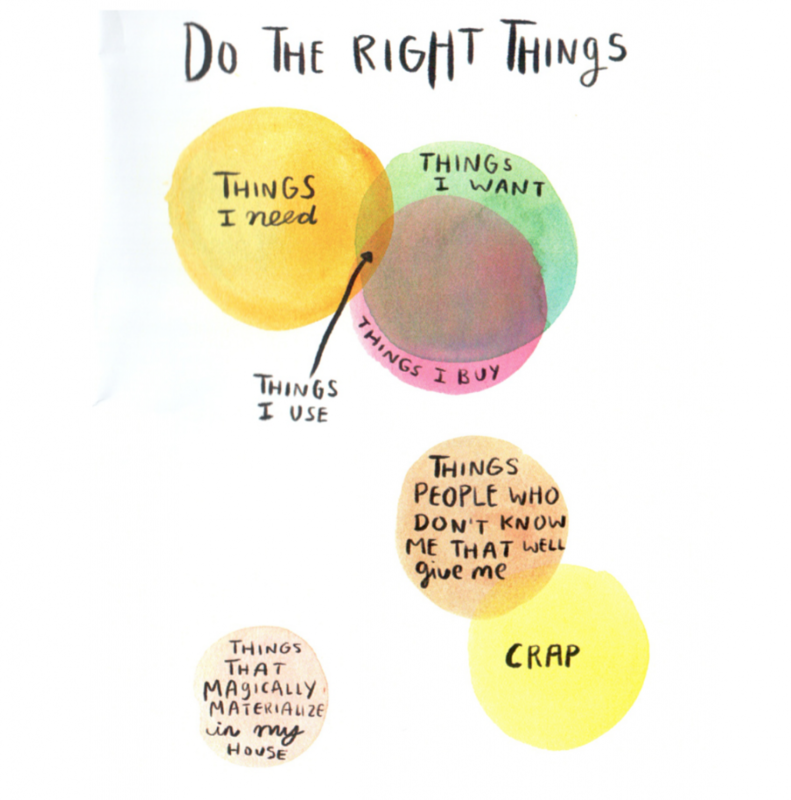 I have been trying to make my way through Gretchen Rubin’s habit book, but I am not even half way through. I seem to have lost my momentum. I am currently on the last CD of Think Like a Freak and I am enjoying it (I always keep a book on CD in my car, for when I am alone). I also enjoyed their first two books. I found that the Habits book was hard to read in small chunks, and I got much more from it when I prioritized larger periods of time to read it. Both of these books sound like they’re right up my street. Thanks for recommending them. I’m managing to read a lot more at the moment. I make sure I start the day reading and end it reading too, when I can. I have read the book by Alexandra Penney and loved it. I just recently listened to “The Man Who Quit Money” by Mark Sundeen on Hoopla. It was very interesting!!! Now I am listening to “The Hoarder in You” by Dr. Robin Zasio. All of these books make me think about what is a need and what is a want, what really matters and what doesn’t. I’ve read both those books and enjoyed them. I found it very interesting that Dr. Zasio is hardly able to smell due to a teenage horseback riding injury. She wrote that it’s the only reason she’s able to spend so much time in these hoarder houses. I read fluff these days….love stories with happy themes. I did just pick up The Dream Lover by Elizabeth Berg at the library and it’s on my bedside table to start tonight. I’ve enjoyed all her books over the years and like her anecdotes on facebook. I like books like that as well, thanks for sharing! Thank you Thank you Thank you! I am so excited to read these. I just got a library card (we just moved) and I need some books so I stop watching so much Fraiser on Netflix! I just finished reading ‘The Handmaids Tale’ by Margaret Atwood. It is such a great book and a pretty quick read. I agree. I listened to that on CD, it was a great book. It certainly gave me a lot of insight into the lives of children affected by WW II in Europe. I can’t wait to read The Bag Lady book. My greatest fear is that happening to me. It did happen to me. But, my loss was due to a natural disaster…. everything vanished in an instant….my home, all my belongings, my job and the life I was living almost 10 years ago. I have never really recovered. I have a new and different life now elsewhere…a good life, but I live on very limited means. First of all, I’m so sorry for your loss(es). And I admire your courage and strength. I’m so glad you have a good life now and I hope things get better and better. Do you write about your experiences somewhere (blog)? Because (as Monica mentioned) I too have a reality based fear of being “a bag lady”, homeless, & without resources and believe that myself, Monica and many, many others might benefit from your experience and wisdom. If you felt comfortable sharing that information. Thanks, Lynda….I may have spoken about my journey somewhere on my blog…click my name to find it and look through the archives. But, basically, I just kept putting one foot in front of the other. I do have a small pension from teaching, but not the full amount since we were all terminated after the hurricane and I picked up any part time work I could find. I live on a wing and a prayer, but so far am still afloat! Resourcefulness gets you through. My current fave recent read as The Widower’s Tale, by Julia Glass. Just a great tale of a family and their acquaintances whose lives all intersect. I loved the rich details of the people’s deceptively uneventful lives. I have been reading trash Lit or Histotrash – I am on book four of the Outlander series and have been really enjoying them. I do end of maxing out on the renewals on each one as they generally are over 1,000 pages long (at least in paperback). Can’t wait to check out the season one of the Outlander series on DVD from the library, I am currently on the waiting list. Anyone read Power Plants yet? “Simple Home Remedies You Can Grow” which should be of interest to this group. 🙂 I saw it featured recently on a TV show and put a hold on the book (the male authors are pretty cute too ;-). It appears to be a quick read and I had fun flipping through the pages and looking at specific plants, many I would love to try. I also have The Alchemist by Paulo Coelho. This book has been listed on several top book lists (2014 celebrated the books 25th anniversary), looking forward to reading it. I read one of his other books – Brida which was an interesting read. Recently had checked out Trim Healthy Momma but never even opened in, to much going on I guess plus there was so many holds for it I couldn’t renew it, bummer, took several months to get it too. Disappointed her blog and website hasn’t been updated in a year and a half. Maybe should write a book about that! 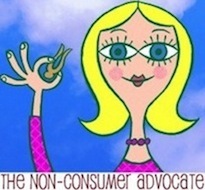 Dead or on life support websites that used to be very alive! Went to thrift store this morning and bought some classics I haven’t read but think maybe I did a long time ago or not ($.25 each). If I can’t remember, it will do no harm to read. Again. Or for the first time! I am aware that I haven’t updated my main site, two kids under four and a year of school will do that. Thank you for this lovely write-up, Katy! Penney’s book looks interesting. Your Facebook page is great Sarah, thanks! Appreciate the update. Bootstrapped: From Brokeass to Kickass on a Michigan Farm. Kinda reads like Wild by Cheryl Strayed. Katy, I enjoy your book recommendations! I just finished Robin Zasio’s The Hoarder in You (because of your blog post), and it’s a great book to listen to while I’m cleaning or getting rid of stuff. Keeps me motivated! The Bag Lady Papers is available from my library as an e-book so I’ll be checking that one out soon. And I just put Sarah Lazarovic’s book on hold. Thanks again! I read the Bag Lady Pages a few years ago. It is indeed thought-provoking. I did feel a little taken aback at the lifestyle she described, but I think she was being honest, and that was really how it was. It is a good insight into how we tend to let money or the lack thereof define us, we need to fight that! Good recommendations! Thanks, Katy. I’m going to reserve The Bag Lady book and check into the other one! I loved “A Simple Machine Like the Lever” It’s funny and interesting and a really sweet read about a guy trying to live a more simple, less wasteful, debt free life. Inside the O’briens by Lisa Genova. Just finished Americanah by Chimamanda Ngozi Adichie. Beautiful book, I really recommend it. A few good ones recently! OMG, I totally second “Amerikana”. It was wonderful!!! I just read “The Rosie Project” by Graeme Simsion. What a treat! There were times I laughed till I almost cried.